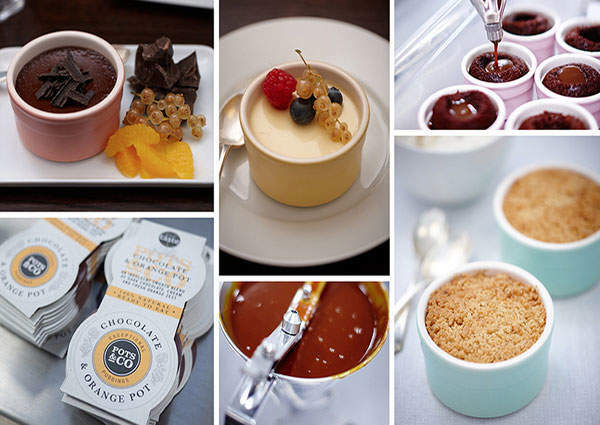 The latest dessert product on the market that ticks all of the criteria is London-based company Pots & Co, who create gourmet, handmade puddings in colourful ceramic pots. The concept for Pots & Co started when Dyer was working as a chef at events which catered to parties with anything between 2,000 – 14,000 guests. Pots & Co have a small team of 15 working at their West London factory and hand make all of the desserts up to a point to save time and costs. The concept for Pots & Co started when Dyer was working as a chef at events which catered to parties with anything between 2,000 – 14,000 guests. To solve the problem of having to get hot, delicious meals out to a large number of people, Dyer decided to serve meals in ceramic pots. The pots kept the dishes warmer for longer and are also a different way to present a meal. Dyer tells Inside Food that after reading more into the use of ceramics he found that "a lot of this was going on in Spain." He continues: "There was a company that was making puddings for the Spanish market. You’d go into a restaurant down there and you’d be given a pudding menu and it would be the same in quite a lot of restaurants and they were bought in, in these brown ceramic pots." 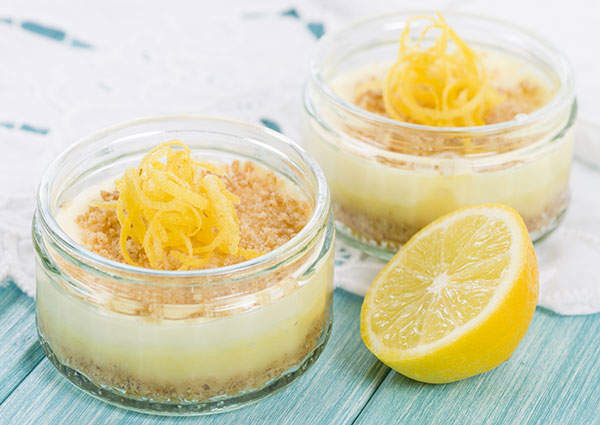 After a brief dalliance with savoury meals, Pots & Co now have a wide range of puddings including, caramelised apple crumble, lime and lemon posset and chocolate and orange pot. All puddings from Pots & Co are baked in the pots they are served in. Dyer states that he wanted his range to be "about the pot" and made sure he had a versatile range that could be added to or changed accordingly. 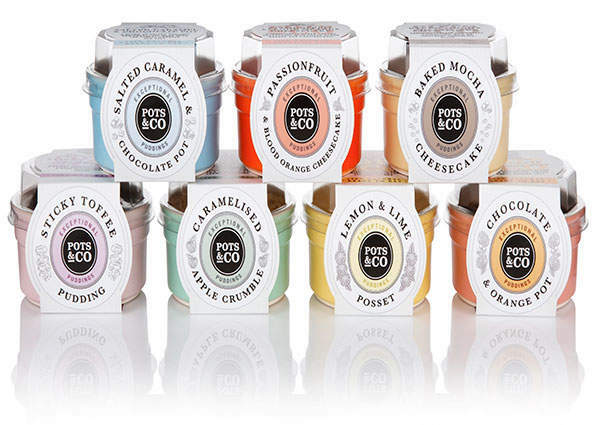 The pastel rainbow of Pots & Co products certainly is a sight to behold in the dessert aisle, drawing your eye to the range, which is part of a very crowded market. Dyer agrees that packaging is one of the ways they have tried to distinguish themselves in the market saying it creates a "stand out presence." Pots & Co have a small team of 15 working at their West London factory and hand make all of the desserts up to a point to save time and costs. Dyer explains: "There’s not a production line where you press a button one end and it all comes out the other end." He continues: "We deposit them, we’ve just started using pneumatic depositors so at least we can get the product into the pot faster because doing that by hand was becoming very slow but the process all is handmade." New flavour combinations are developed as a team. Once a new pudding is chosen the team then has to figure out how to make it scalable because "how we’re going to make fifty is easy, when you’re putting it into thousands every week it becomes, ‘how do we keep that quality the same.’"
Pots & Co is definitely a gourmet product, though Dyer claims that it is not necessarily what they aimed for: "We’re not trying to out price anyone in the market. We’ve kept it at a certain price for a period of time, our ingredients have gone up and we’ve changed them accordingly." Pots & Co has big plans for their future and aim to bring out three new additions to the range this year, which will include strawberries and cream, sticky chocolate pudding and apricot and apple almond cake. The company also has plans to expand into airline food, white label ceramic pots for restaurant chains and possibly even going back to offering a savoury option in the future. While Pots & Co products may change over time, consumers will always be able to recognise the pastel rainbow in their favourite aisle.